In the earlier part of the 12 years that I’ve been writing blog and website content online, coming up with interesting ideas for what to write next has always been one of my main struggles. This was before I found a technique that I could use to drum up hundreds of blog post ideas within minutes. This technique was later taught at Wealthy Affiliate by Kyle as the Alphabet Soup technique so I realized that I wasn’t the only one using it (obviously) and basically confirmed that it was indeed a good technique to use. The Alphabet Soup technique is simple to use and requires no research tools other than good old Google. When you do a search on Google for anything, Google wants to deliver results the fastest they can so they try to guess what you’re searching for. This works like autocomplete and you can see keyword search suggestions as you type. In the above screenshot, I’m looking for “ideas for blog posts” but Google already guessed this and suggest some searches they think I might be looking for. These search suggestions are based on popular searches that people are already doing so if you were to take one of these searches, do a blog post and rank for it, you will get free search engine traffic to your post. You can use this nifty Google feature to find interesting ideas that you can develop content for within your niche by adding a little twist to your searches. If you’re looking for ideas for your next blog post then this technique will help you find hundreds of content ideas you can write about now and you’ll never have to wonder what to write about ever again. To use the Alphabet Soup technique, all you need to do is to add a little twist to your searches. You will start with a root keyword from your niche and continue from there based on the suggestions. To find root keywords to use, you can examine your niche and write down a list of keywords people would use to find your blog. For example, if you’re writing about “tax preparation” and you need ideas for what to write about next, you’ll open Google search and start typing something related to tax preparation. Let’s just start broad and obvious and use the root keyword “tax preparation”. Instantly, you will see useful suggestions that people in the tax preparation market are searching for. This isn’t the Alphabet Soup technique yet but lets look at a few of these searches. “Tax preparation software” may be people who want to do their own taxes and are searching for diy solutions. A blog post listing 5-10 of the best tax preparation software might earn you some commissions if they have affiliate programs. “Tax preparation near me” isn’t useful because it’s a local search and the actual results depend on the location of the searcher. “Tax preparation checklist 2019” can definitely be a very helpful blog post that can get visitors to your blog if you give them what they’re looking for and optimize for the keyword. To use the Alphabet Soup technique, you’ll need to start going through the alphabet right after you’ve added your root keyword. This will change up the suggestions a bit and you’ll begin to see keywords you probably hadn’t thought about. After doing a few searches with “tax preparation” as my root keyword, I just realized that I should have went with one of the other examples. Tax preparation gets a lot of localized searches such as “tax preparation miami” where people are looking for a service in that area. To demonstrate the Alphabet Soup technique we’ll use the root keyword “filing taxes”. In the image above, I enter my root keyword “filing taxes” then I add an “a”, the first letter of the alphabet. From this I get 10 suggestions which I could use as an idea for an article if I was writing about taxes. “Filing taxes after divorce” could be an article titled “15 Things You Must Know If You’re Filing Taxes After a Divorce”. Conversely, there is the search for “filing taxes after marriage” – someone wants to know what they must know about filing taxes since they just got married. There are a couple of other searches which suggest the same topic like “filing taxes as married” and “filing taxes after getting married”. To keep getting new ideas using this technique, you can add more letters or remove the “a” and move on to the next letter. Here you can see that I have all new suggestions after adding a “b” to my search with the letter “a”. I can continue by searching “ac”, “ad”, etc. After I’m finished with “a”, I can move on to “b” which gives me another 10 suggestions. You can continue through the alphabet this way and potentially come up with hundreds of ideas for new articles or even ideas for a new site. Personally, I love going through this process manually and finding keywords I could use by typing the search term into the Google search bar but for the sake of time, you may not want to do it that way. There are some tools, some free and some paid that will give you a list based on Google’s suggestions for each letter of the alphabet plus your root keyword. This will let you have keywords within seconds that you can mine for article ideas. I use these tools occasionally but for other reasons. Here are a couple. This tool lets you find keywords that people are typing in search engines as questions. These can be useful because you really want to write content that answer the questions your niche is asking. There is a cool section in Answer The Public called Alphabeticals where they list the suggestions from Google in alphabetical order. This can save you time and you can download all the results so that you can reference whenever you need more ideas instead of searching. The only thing is that Answer the Public wouldn’t give you the searches that you can perform such as “filing taxes ab” or “filing taxes ac” and so on. But you can always find those hidden gems by using Google. 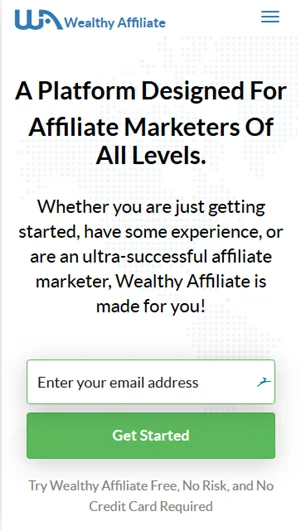 This is Wealthy Affiliate’s keyword tool and has a section called Alphabet Soup. However, the results are quite different from what Google will return but you can still get a lot of good ideas using this tool. Most of the results are question searches. You can use Google and this tool to uncover even more ideas. Whether you use a keyword tool or you manually search Google, the Alphabet Soup technique will allow you to find ideas quickly so you’re never faced with writers block. Just enter a keyword your niche cares about and go through the alphabet.